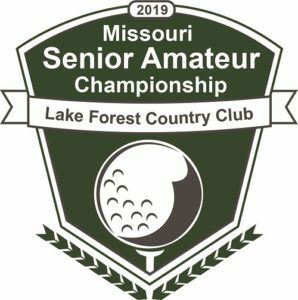 Entries are open to male amateur golfers who are members of the MGA, play at clubs or courses who are members of the Missouri Golf Association. Entrants must have reached their 50th birthday by the first day of the tournament to compete. Players regardless of age may choose to play in the Championship Flight. Entry fee includes a practice round the day before the tournament, the championship rounds, cart fee for championship rounds, and range balls. A caddie may be used at any time during the Championship. Cancellations before the close of entries will be refunded less a $30 fee. No refunds after the deadline date. The field will consist of 120 players. Winner- appropriate award and the Traveling Trophy for one year. Runner Up – Award. Gift certificates will be given to top finishers. There will be additional prizes awarded in the Net Flight and 65 & over age group.